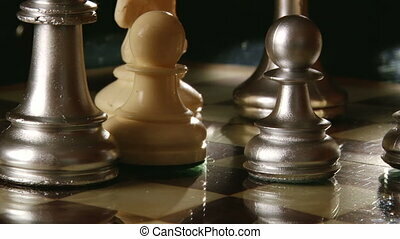 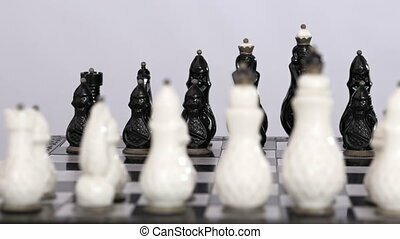 Chess set. 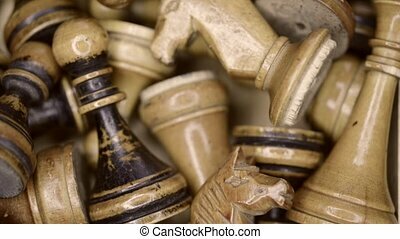 Stone made chess set. 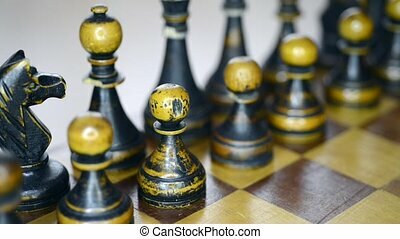 Animation of chess set in motion. 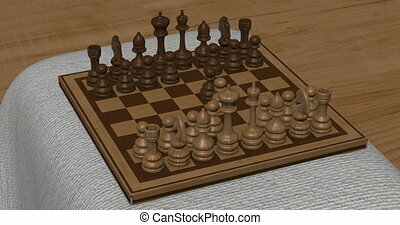 Animation of a chess set turning. 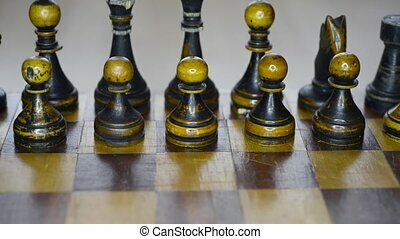 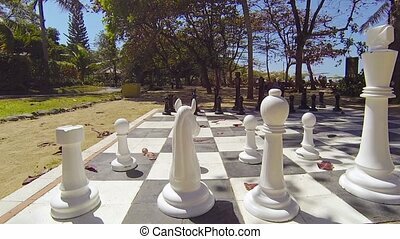 "Black and white checkered board and pieces of a life size chess set, arranged in the shade, on a luxury resort hotel's private, tropical beach. 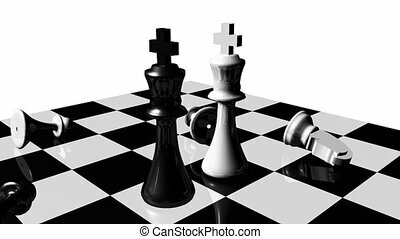 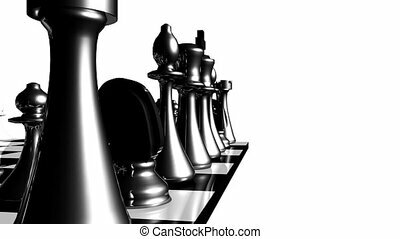 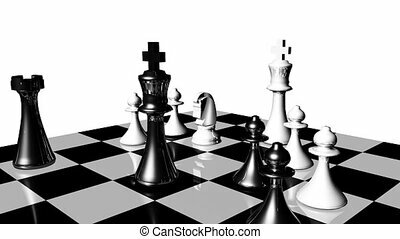 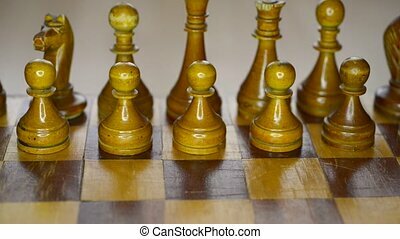 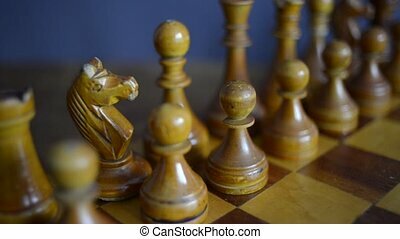 Video FullHD"
White and black chess set up for game, movement from left to right side of board, ready to play, board game, intellectual sport. 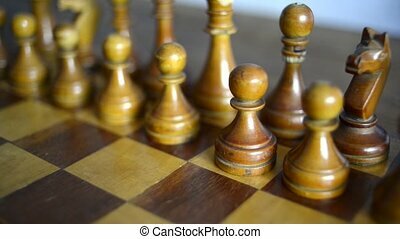 Close up, shallow DOF, 4K Ultra HD.